The Porsche 718 Cayman and 718 Boxster were announced back in April, the two cars are a change for Porsche as they come with turbo charged engines instead of naturally aspirated engines. 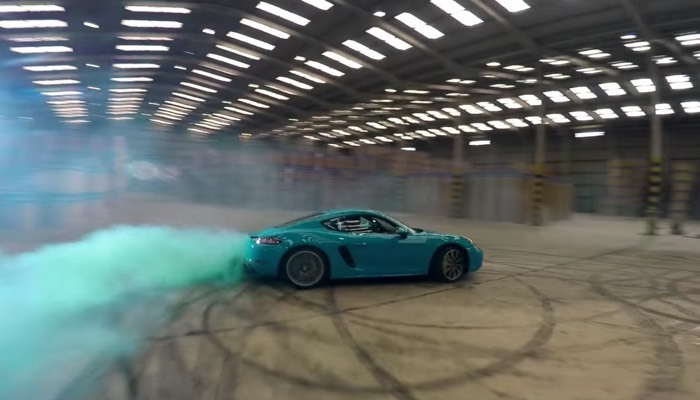 We have seen a number of videos of the Porsche 718 Cayman and Boxster in action, the latest one is a bit of fun as the 718 Cayman takes on some drones. The are two engine options on the new Cayman and Boxster, an entry level model with a 2.0 turbo that has 300 horsepower and the 718 Cayman S which has a 2.5 litre turbo engine with 350 horsepower. You can find out more details about the new Porsche 718 Cayman over at Porsche at the link below.